Summer is the best time to visit Lublin, a charming city in eastern Poland known for its authentic Old Town, multicultural traditions and four unique festivals with tons of cultural events for people of all ages to enjoy for free. In 2017 Lublin is celebrating the 700th anniversary of its foundation. The jubilee year brings many special cultural and educational events but the summertime remains special for the concentration of four fantastic and exuberant festivals. Take this opportunity to discover Lublin while enjoying phenomenal music, movies and dozens of extraordinary shows, meetings and workshops, all free of charge. 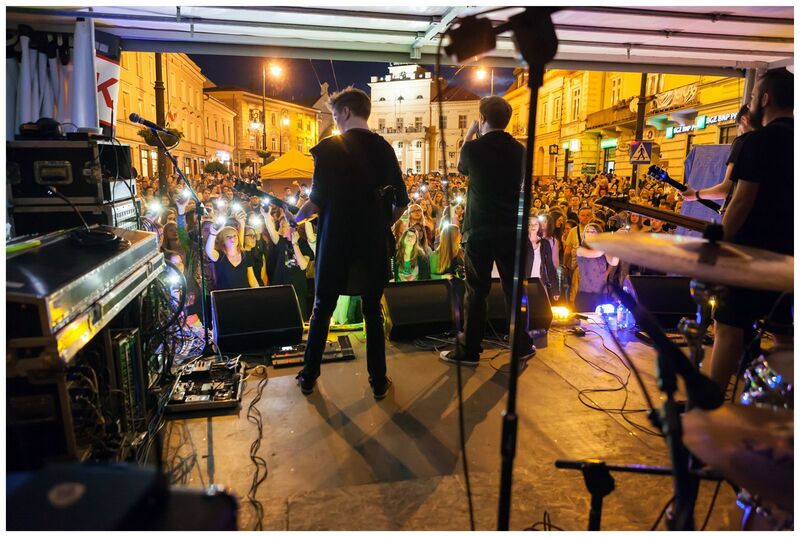 On Night of Culture Lublin explodes with cultural energy as 300 events take place all over town. Can we time travel like in “Midnight in Paris”? Imagine that a street in a charming Old Town becomes such a time machine. It will take us back to the 1920s. Want to see ice sculptures on a hot June night? What about a huge lawn in the middle of a busy street? It sounds implausible but Night of Culture makes such magic come true. Night of Culture is a festival that offers endless surprises. Art enlivens forgotten or unknown places. Gates become light installations and squares turn into theatre stages. The streets of the Old Town startle even its residents and most frequent visitors. Galleries, theatres and museums stay open until the wee hours. Night of Culture inspires us to rediscover Lublin or to discover it for the very first time. East of Culture – Different Sounds is an inspiring music festival introducing mind-blowing rising talents and world-class performers, among them Juno Reactor and Nouvelle Vague. The festival focuses on high artistic quality and inventiveness and seeks to showcase phenomenal musicians and unforgettable music. This year, over five festival days we are going to see artists from 14 countries of the world and 3 continents. 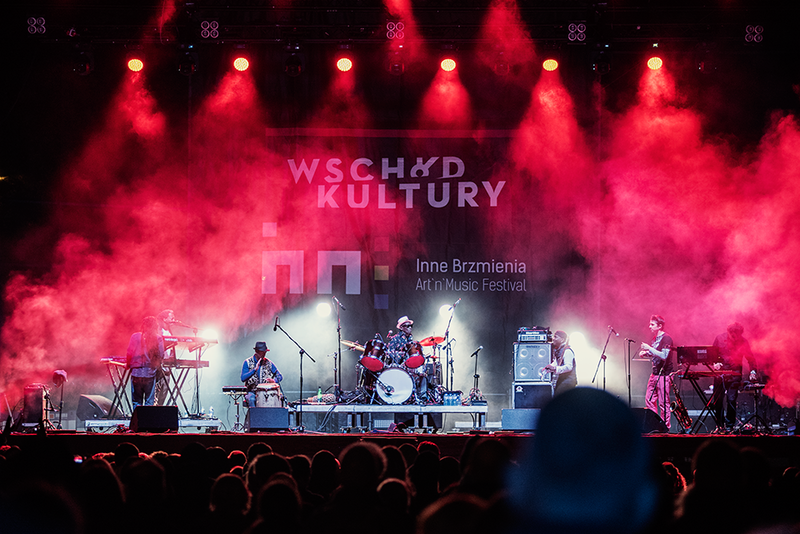 At exclusive concerts in Poland we will hear only the most prominent representatives of such genres as new wave, afro-jazz, electronic music, avant-rock or broadly understood world music. The festival also accentuates ambitious cinema, literature and contemporary art and introduces the most important trends in the culture and art of the Eastern Partnership countries. For the celebration of the 700th anniversary of the foundation of Lublin, we will also present one of the most interesting European record labels that has been shaping the tastes of many generations of music lovers and promoting the uniqueness of artists, their backgrounds and cultures they represent. Children are invited to take part in Little Different Sounds, a series of workshops focused on developing their creative potential in a fun way. Carnaval Sztukmistrzów is the largest Polish festival featuring top-quality street theatre and new circus. In the final weekend of July, take a walk around the Old Town. See calm streets and charming, quiet alleys transform beyond recognition. Everyday order is turned upside down and out of the blue we can get caught up in the middle of all-present fun. We may run into axe juggling performers or buskers who make us cry with laughter. Look up and you will see slackliners walking above our heads. Over four festival days new circus artists from all over the world present their unique skills. They melt away everyday worries at least for a while and make us think through jokes and clown shows. The Carnaval is inextricably linked to the Urban Highline Festival which is the largest official festival in the world dedicated to slacklining. Lublin is also the only place in the world where the lines are hanged throughout the city and predominantly its historical quarter. Slackliners thus have an opportunity to view the most beautiful of Lublin’s monuments from a very unconventional perspective. In 2016, over 300 slackliners from all over the world took part in the festival. They had an opportunity to conquer 15 lines, all between 15-200 metres long, hanged at heights ranging from 7 to 40 metres. This year, they will also walk the ropes at night. The Jagiellonian Fair presents different aspects of traditional culture, both in its authentic and contemporary forms. The festival is rich in music, art, crafts, theatre. We invite artists who research traditional cultures or cultivate local and family traditions. The Jagiellonian Fair is an opportunity to meet artists inspired by village music and those who create its modern version. 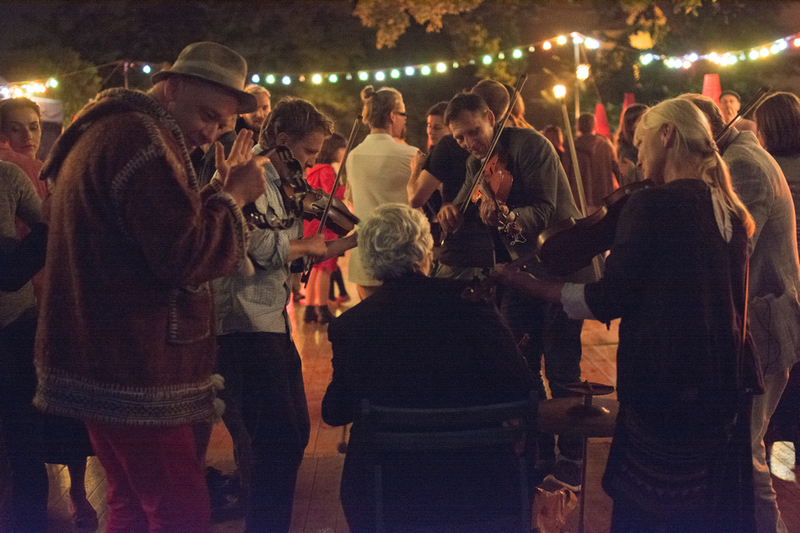 The programme includes numerous concerts and night-time dance parties featuring traditional Polish tunes performed by first-rate unique bands, including the Jagiellonian Fair Orchestra. When visiting the Jagiellonian Fair, make sure to stop by the handicrafts stalls scattered throughout the Old Town. One part of town gathers several hundred artists and traditional craftsmen from Poland and other Central and Eastern European countries. The presentations and workshops they run give us an opportunity to observe and even learn skills and techniques that are largely forgotten nowadays. We also have attractions for children. Every year, the organizers try to surprise the youngest attendees of the festival by presenting traditional games made to be fun but also aimed at educating them about traditional culture. It is a space intended for entire families rather than just children. Take this opportunity to learn about many cultures in one place by visiting the Old Town in Lublin During the Jagiellonian Fair, the city is alive from dawn to dusk. Let’s get swept away by this cultural energy!